This week we are sharing something a little 'off topic'! I have been looking for an opportunity to donate, so for every completed Informed Decisions Survey in the next 6 days I will donate €1 to Irish Cancer Society. Given that I am doing all 'this' at no monetary gain I need to cap this at €200, so please help me get to that mark.....share it like there's no tomorrow! Six months after the very first Informed Decisions Podcast it probably is a good idea to check-in with you 'regulars' and provide a bit of an update on how this little website is progressing! I am also reaching out to you and seeking your help; with an important invitation for you to have your say on the shape and format of Informed Decisions via a short but important anonymous Survey/Questionnaire! If you have got any value from us in the past 6 months we would really appreciate your time (4 minutes!) in completing this and having your say. It will allow us to identify a broad profile of who is listening & reading, and importantly your preferences. Ultimately it will ensure we provide information and tips which you want! How novel an idea is that!?! December 2015 during the Christmas Break I took it upon myself to start writing on the LinkedIn blog platform 'Pulse', just as a little exercise in creativity. I have a deep interest in all aspects of money management and Financial Planning and was quite fond of writing, so it was a natural thing to do! Another catalyst was that so many of my own circle of friends have a self-declared lack of interest or knowledge in this space, so I knew it would be a help to my own generation (millennials!). The feedback from these initial articles were positive, and I really enjoyed the process of creating the pieces. I was hooked! After a bit of consideration I decided then to go about starting my own blog, one which I could manage myself instead of it being owned by LinkedIn. As you know I work full-time as a Financial Service Trainer so I approached my employer to confirm there would be no conflict of interest in me doing so. They were most generous in giving it their thumbs-up and wishing me every success, provided I clearly expressed that my views were my own, naturally enough. The scene was set! 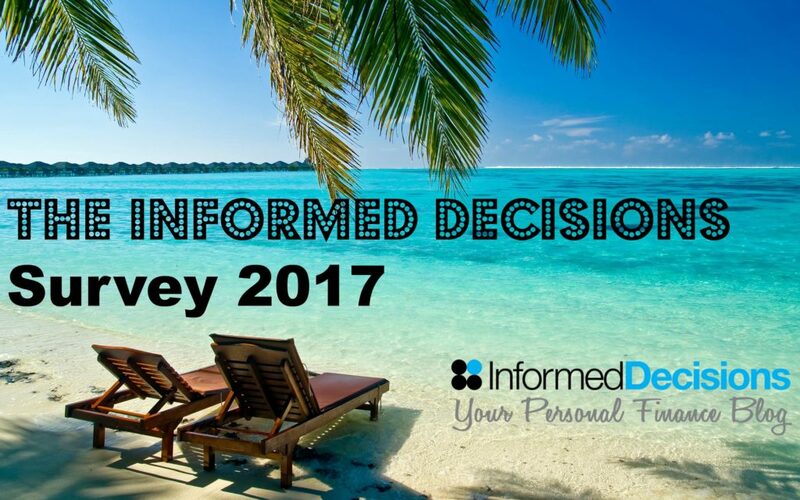 After much research and procrastination the website www.informeddecisions.ie went live in April 2016. "What keeps me going are my original motivations; to support my fellow millennials with making informed money decisions, to exercise a creative muscle and to ultimately to make a positive difference." Where Did The Podcast Come From? Podcasts in the Financial Planning & Personal Finance space are rare, even in much larger countries like UK, almost like hen's teeth! They require a lot of unseen preparation and are notoriously difficult to get audiences so that probably explains why there was none in Ireland until Informed Decisions Personal Finance Podcast. Producing a Podcast seemed like a major stretch of my imagination in April 2016 but I researched the idea over the following months, and with the support of some great folks in the UK and here in Ireland it started to come to fruition. In early August we launched our first podcast, which was an exciting time for Informed Decisions, an achievement of a once galactic goal! What I have found is that I have learned so so much about an awful lot in the process, so it has been win win really. Well the iTunes reviews have started coming in and the feedback has been really positive. Please do check it out here and feel free to add your own iTunes review if you are using it and feel this site has been of benefit to you here. Writing a Blog & Podcast each week takes consistent effort which was not always my most obvious strength! Both from a research, planning and indeed writing & recording perspective there is lots to consider, not to mention the computer side of things! What keeps me going are my original motivations; to support fellow millennials with making informed money decisions, to exercise a creative muscle and to ultimately to make a positive difference. I heard a quote recently from Shane Mulhall (RIP) of The School of Philosophy which really resonates with me "Do for the joy of doing, not for the purpose of advancement". I hope that doesn't sound too waffly but that sums up Informed Decisions pretty nicely. I am enjoying it and the feedback and value others are getting from it is real, so again it's a win-win! Speaking of feedback, we have received lots or really positive comments from readers of the Blog and Podcast listeners. People have got in touch to say that as a result of it they have been able to take proactive action with regards to their budgeting, retirement planning, protection, goal setting etc. This makes it worthwhile for me personally. It was not something that I had kept an eye on at all but I was recently told that the Podcast was in the Top 20 in iTunes Chart in it's category! Top 20!! I was dumb-founded and obviously thrilled to see that the word was spreading and more and more people all over the country are benefiting from it. Who knows! Many folks have asked me am I going to turn it into a business and will I do x,y or z. To be completely frank I really enjoy my role as a Trainer, and I really enjoy Informed Decisions, so for as long as both sensibly co-exist I am delighted to do both! As long as you continue to get benefit from the site, blog and podcast I will keep producing it. We have no way of identifying the broad profile of you, those who are actually listening or reading, nor have we any sense as to what you guys actually want from us. Therefore I have created what I hope is an attractive and quick questionnaire which gives you the opportunity to input into what we are doing and how we do it. We will compile & share the findings (anonymously obviously!) once we have sufficient responses to it. So do it now (please)!! If you have got any value from this website then we would be so appreciative of your participation. Click here or click the image below to get stuck in.